Interface not looking as you'd expect? Find out how to change the interface and combat style of your game! 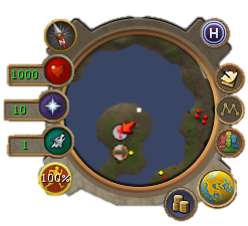 EoC, or Evolution of Combat, is a game and combat mode in RuneScape, released in 2012, with new abilities and different interface (the map, chatbox, inventory, etc.) from the old style interface used at the time. These two modes are comprised of two parts - the interface and the combat. You can mix and match the interfaces and combat modes to your own tastes! 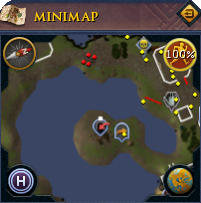 If your interface starts looking different (similar to Old School), you may have ended up in Legacy mode. You'll also see that in Legacy your health points are 10x less than that shown in EoC (it doesn't affect how quickly you'd die though). New features, such as abilities and revolution mode. Two types of attack - Regular auto attacks and special attacks gained when using a weapon with a special attack. If you suddenly end up in Legacy Mode, you may have hopped into a Legacy Only world which will force that to happen - make sure you hop to another world before using the steps below to change back to EoC mode.